Learn how to make cannabis-infused butter with just a few simple ingredients. 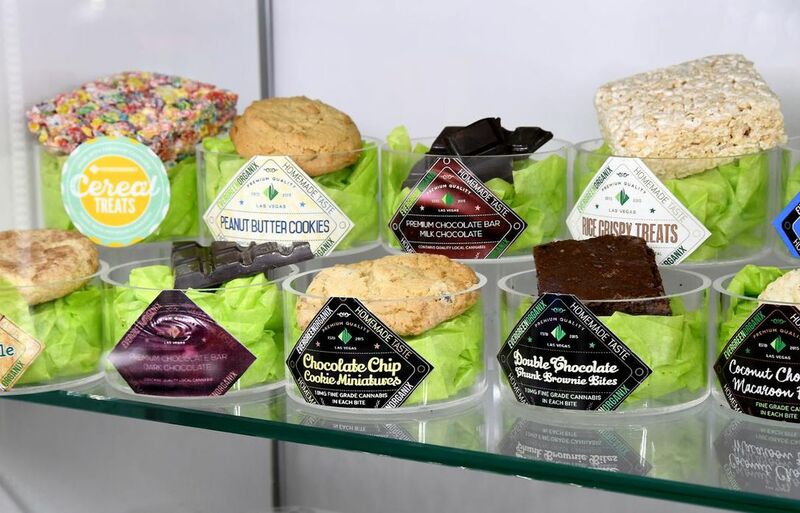 One of the best and easiest ways to reap the benefits of cannabis is through edibles. However, they do not come cheap. One cookie can cost anywhere from 5-10 dollars and it’s not even fresh! By making your own cannabutter, you get to control both the potency and taste of your edibles, plus you’ll be saving money in the long run. Here are the ins and outs of cannabutter and how to create your very own batch at home. Cannabutter (also known as weed, pot or marijuana butter) is simply butter that has been infused with cannabis. 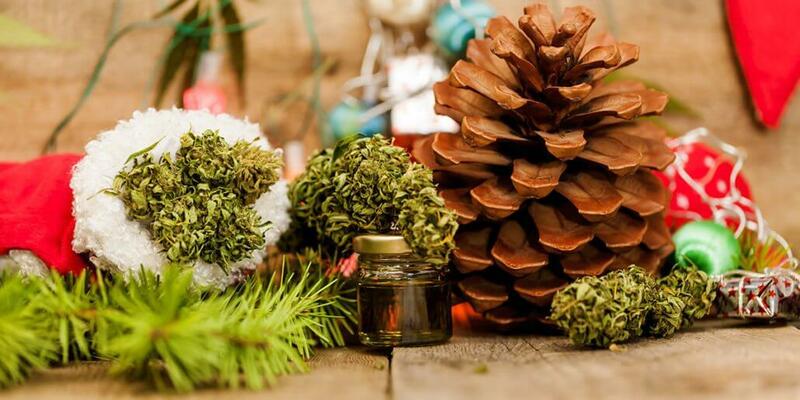 The cannabinoids, which are the medicinal ingredients of the plant, are located in the cannabis flower itself stored in tiny, crystal-like structures called trichomes. When you infuse cannabis with butter, the THC and CBD release into the butter leaving you with a highly medicinal product. Butter is recommended for this process because cannabinoids like THC are fat-soluble and don’t mix well with water. Cannabinoids also require heat to be activated, which is why you can’t use raw cannabis to make edibles. Once you have a batch of cannabutter prepared, making edibles is easy. By using cannabutter instead of normal butter, you can turn pretty much any recipe into a marijuana-infused dish. Cannabutter is typically made by simmering butter and cannabis on a low heat for a few hours and then straining out the plant matter. This method, which is what you typically find in every corner of the internet, might be easy but will leave you with a product that is not properly dosed and also tastes vaguely like dirt. “You really want to enjoy your cookies but you also want to medicate,” says JeffThe420Chef, author of cannabis cookbook The 420 Gourmet: The Elevated Art of Cannabis Cuisine. Jeff stresses the importance of cleaning the plant material before you begin the infusion process, as it will leave you with a better tasting butter and will also take out that ugly green colour that you don’t want in your final product. “What you need to do is soak it in distilled water for 24-48 hours, changing the water every 12 hours, then blanch it to finalize the step which is putting it in boiling water for five minutes and then shocking it back to reality in ice water for a minute,” he says. Once your herb is thoroughly cleaned, it’s time to “decarb” your cannabis. 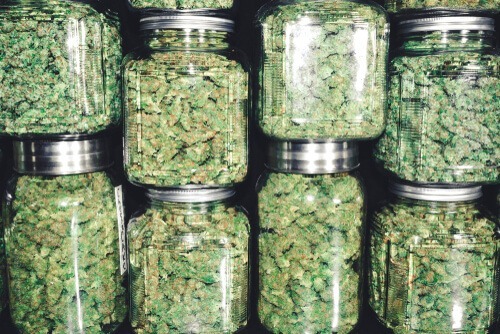 “Decarboxylation is a process where you actually activate the THC, the psychoactive compound and the CBD which is the non-psychoactive compound in cannabis,” explains Jeff. “When they first start out in their raw plant form they are something called THCA and CBDA and that acid molecule (A), although in raw cannabis is really good for you, won’t give you the full effect of those cannabinoids,” he adds. Jeff recommends drying out the soaked herb either overnight or in a dehydrator. Once the herb is dry, spread it out on a baking sheet, cover with aluminum foil and bake at 240F for 1 hour. Once you’ve completed the decarboxylation process, you are now ready for the fun part — infusing the butter. 1. Add water and butter to pan over medium heat. Make sure there is enough water to create a layer between the butter and the bottom of the pan. Use extra water if necessary. 2. Wait until butter melts, then add cannabis to pan and mix thoroughly. 3. Simmer on low heat for 2-3 hours. Stir occasionally to prevent scorching. If mixture starts to boil, reduce heat. 4. Allow pan to cool before straining into bowl or container. Use a fine mesh strainer or cheese cloth to separate the remaining cannabis from the butter. 5. Place mixture in fridge overnight. The butter will separate from the water and rise to the top. 6. Once butter has risen to top, remove from fridge. Peel off the chunks of butter with a fork or knife and place in separate container. Congratulations, you’re now ready to make edibles! When it comes to dosing, it’s best to start with smaller portions and move up gradually. Any extra cannabutter can be stored in the fridge for up to 2 months. Making a quick batch of cannabutter is easy and the same recipe can be adapted for a Crock Pot or double boiler. But if you want to make cannabutter like a pro, you’ll need to follow more careful instructions. JeffThe420Chef has some great advice for beginners who want to make high-quality cannabutter on their own. When making your own cannabutter, you want to use the highest quality ingredients possible. This is why using whole buds for your cannabutter is the best way to go. You’ll have way more control over the final product and will have a batch of edibles that gives you exactly the kind of high you want. “The first (mistake) is not knowing the potency of the bud you’re working with and the second is not understanding how dosing works,” says Jeff. If your cannabutter ends up having 65 mg of THC per tablespoon and your recipe calls for 4 tablespoons of butter, you may have to substitute 3 tablespoons of plain butter in to end up with a batch of 12 cookies with 5 mg of THC each. When it comes to properly dosing your edibles, all it takes is some simple calculations that can be done with Jeff’s online THC/CBD calculator. Simply type in the percentage of THC in your cannabis, the weight of the cannabis itself and the volume of butter you are using in your recipe. Click the equal sign and you’ve got all the info you need to make edibles that are safe and will give you the effect you actually desire. Jeff suggests that you simmer your butter on the lowest heat setting (200F) for about 3 hours to ensure optimal infusion. 1. Coarsely grind dry herb and soak in distilled water for 24-48 hours. 2. Change the water every 12 hours. This cleans out a lot of the impurities that cause bad taste. 3. Place “cleaned” herb in a tea strainer. Bring water to a boil in pot. Place tea strainer in boiling water for 5 minutes. 4. Immediately remove tea strainer after 5 minutes then place in bowl of ice water for 1 minute. 5. Remove from ice water. Pour distilled water over the tea strainer to rinse out any residual impurities. 6. Remove herb from strainer and wring out excess water. 1. Spread herb evenly in a large baking pan and lay a large piece of aluminum foil loosely on top of it. 2. Let it sit overnight. Your herb should be dry by the next morning. (Skip this step if you use a dehydrator). 3. When dry, preheat oven to 300ºF. Crimp down the foil and “bake” for 20 minutes. 4. Remove from oven. Let sit for 5 minutes so the vapors can settle back onto the herb. 5. Remove foil and loosely cover with a couple of paper towels. This creates a dark environment with airflow. 6. Let pan sit, covered with paper towels, on the counter for 1-2 hours to dry out any residual moisture. 1. Your final yield will weigh +/-20% to +/-50% less than your starting weight, depending on how moist or dry your herb was when you started the process. 1. Place butter into a French press and place standing up in pot of simmering water. 2. Allow butter to melt. Mix in decarbed herb. Cover the French press and push plunger to just above the butter. 3. Gently simmer for 3 hours. Check the water level every 20 minutes to ensure it is even with the water line. 4. Remove the French press and push the plunger down to strain cannabutter into a glass or plastic butter dish. 5. Your final yield should be about 1 stick or 8 tablespoons of butter. Use immediately or refrigerate for up to 2 months (Note: butter will begin to lose potency after 2 weeks). Cannabutter can be used in place of regular butter to make cookies, brownies, cakes and even marijuana tea. It’s best used in controlled recipes such as baked goods and not to oil or grease a pan when frying eggs or meat. Otherwise, the dosing in each piece may not be consistent. 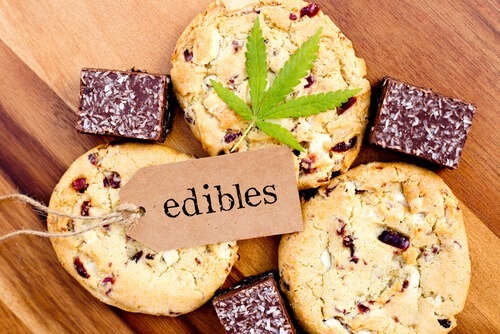 Remember, the effects of edibles last much longer than smoking or vaporizing. While usually delayed by 30-60 minutes, the effects can last for 8 hours or more. If you’re wondering what to do with your very first batch of cannabutter, don’t worry. The next step is easy — just pick a recipe!